Are you feeling the felt frenzy yet? During a recent trip to Target I noticed an increasing amount of super adorable felt items. I thought what a beautiful, wonderful, and quiet activity to entertain my toddlers. Thanks to Target I became a little obsessed with the idea of felt. 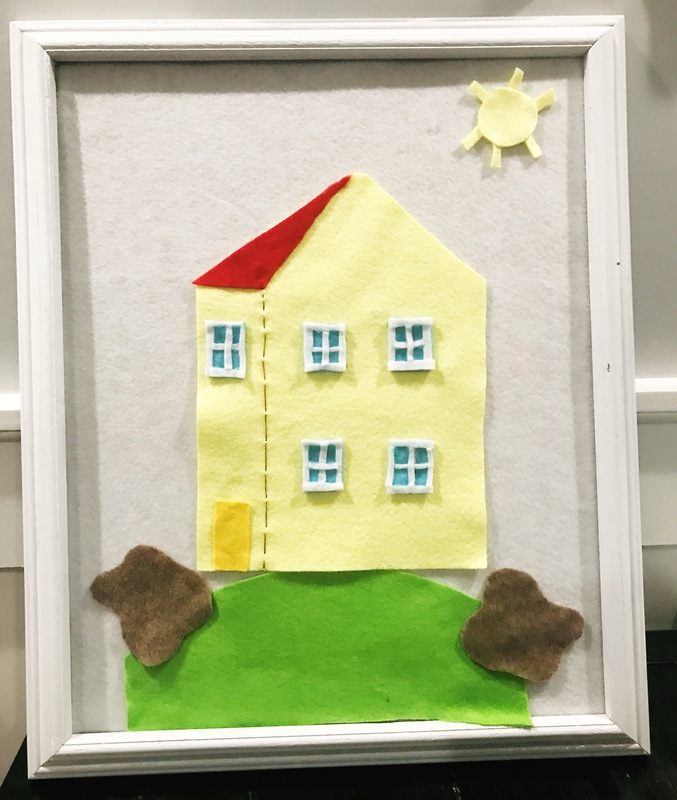 From my research, I found that felt activities are perfect for babies, toddlers, and children up to about 3rd grade. This lead me to start some Amazon shopping and doing some price comparisons. I found various shapes & sizes of boards ranging from $10.00 to $40.00. Naturally, my next stop was Pinterest, the DIY capital of the world. Oh, the beautiful world of Pinterest. After an hour or so of watching videos and reading blogs I convinced myself that as a novice DIYer this was definitely in my skill set. 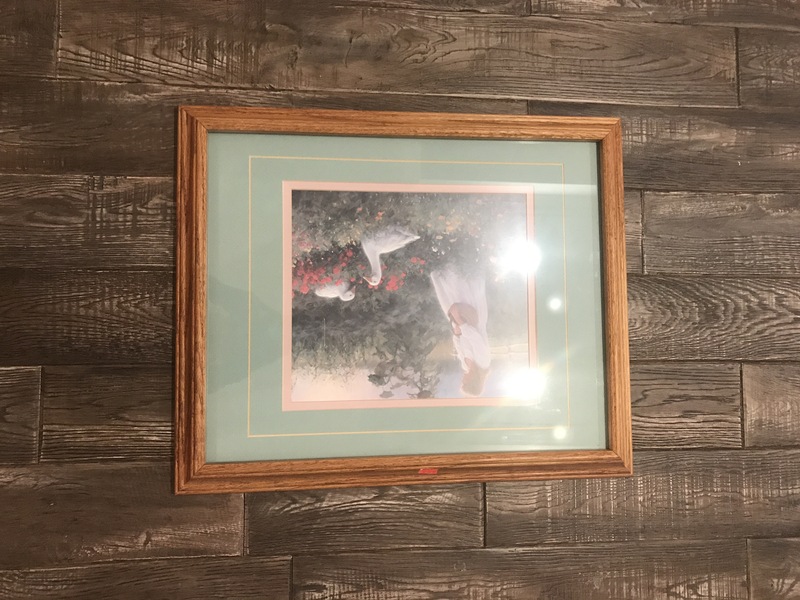 I headed over to Goodwill where I found an amazing 16×20 sized frame for $2.49. What a deal right? I loved the sized but wasn’t too thrilled about the color. I grabbed some spray paint I had left over from another project and gave it a few coats of white. Next, I headed over to Michaels. 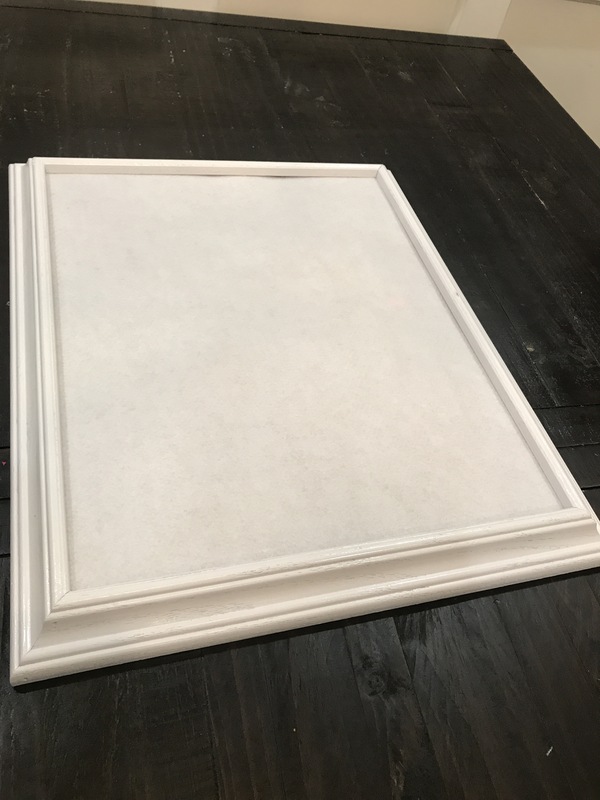 Michaels offers the large size felt options that’s weren’t available on Amazon. Also, many colors were on clearance for $1.49. Another great deal! Here is a quick video of how I put together the felt with cardboard background that came with this photo. ​It was truly as simple as wrapping a present. There is so much potential with felt boards, from fun imaginative play, to story boards and learning. The opportunities are endless. Here are some fun felt items I found at Target for $3.00 in the bargain section. 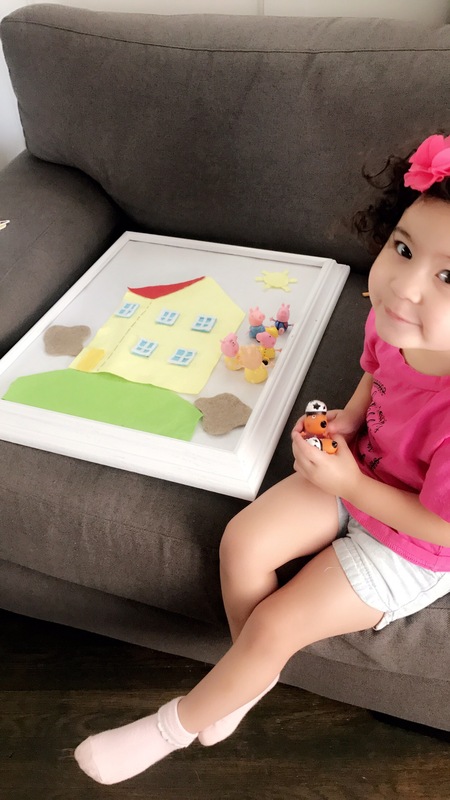 My daughter loves Peppa Pig so my first DIY project was to build her Peppa’s house. I introduced this to her as an activity play mat where she can bring her toys to play and jump in muddy puddles. After seeing her excitement I was ready to take on another project. We recently purchased a book called “Nibbles: The Book Monster”. My daughter was convinced that Nibbles, or as she likes to call him, Bob, was being naughty because he missed his family. 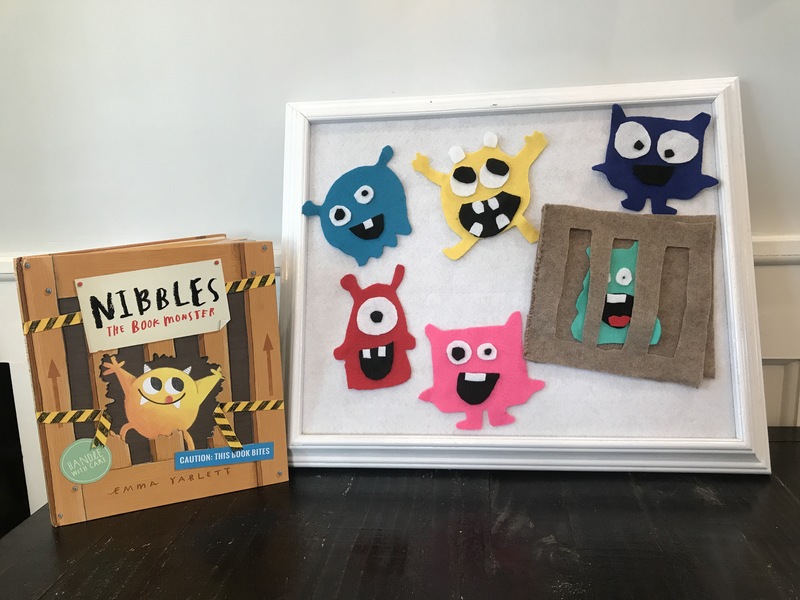 So we created a felt story around Nibbles and we gave him a “monster family”. I am really new at felt so I sketch my drawing on paper and use it as a template to create the item. Here is a quick video on how I use a template to create my characters. Here is our final product. My toddlers had a blast switching eyes and smiles between the monsters and putting different monsters in book jail. If you’d prefer not to sketch your own items, there are tons of fun templates on various Etsy shops. 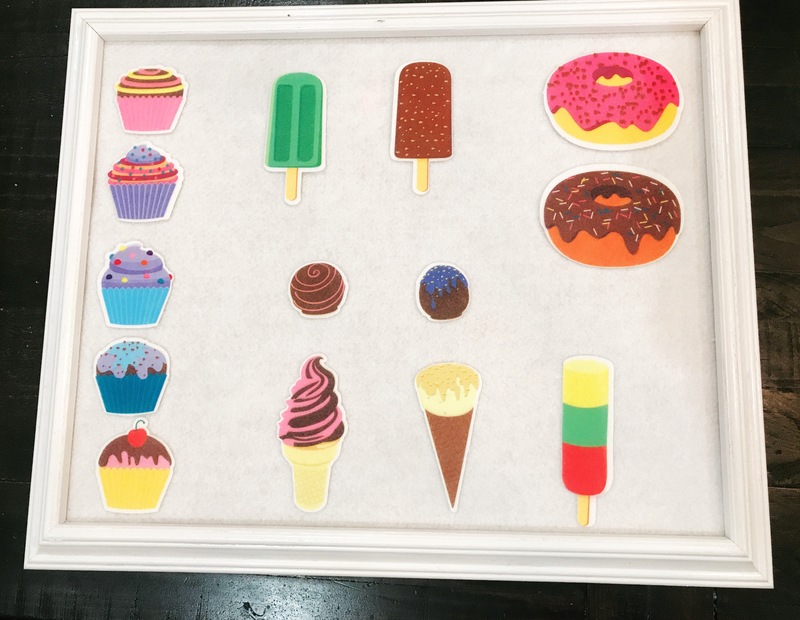 I am really excited to build more felt activities with various interactive and learning themes and I am happy because my toddlers are super excited too. How adorable! I have seen Target step it up in the felt game! Sharing this on my facebook page!